It is a very interesting story about Alafia Singh, a 31 year old divorcee writer. She was married at the early age of 21, and the marriage lasted 11 months. Since then, she has tried long and hard to find a groom through a matrimonial website. But she finds it hard to connect with all the men she meets. Either they are too rich, or too boring or too one-dimensional or too intimidated by her or… The list goes on. IT comes to a point where her 24-year old sister is getting married and Alafia still remains unmarried. The many men that came in her life through this means only add to misery to her all ready troubled life. She was used by those men either sexually or emotionally thus to hurt her from the core. After her younger sister's marriage she decided to take a firm decision on her marital status. The story revolves around the path she took to find a right destination for her. She ends up asking herself why she needs a man in her life and the eventually makes peace with herself. All Indians unite over two things: food and marriages. While this book doesn’t delve in the former, it talks largely about the latter. This book talks about the difficulty of the arranged marriage system, and more largely, the pressure that is put on girls to find a boy and “settle down”. The book is engaging and is filled with humor. There are fun characters sprinkled all around the book that seem quite life-like. There is always a certain person from real-life you imagine filling up this role. The characters are also fleshed out well, not too meaty to bore yet not too insubstantial to dismissive. Each character has a certain purpose and there would definitely be a void without. The instances with Tara, the spiritual healer and Myra, her best friend are interesting. The book flows simply and the writing seems to come naturally to the author.The climax was quite interesting with twists and turns to unfold the same you need to read this book. The positives of the story are the primitiveness in the narration impressed me. The character of open minded independent girl came out superbly with the narrative. The marriage scene of Alafia's sister presents the true image of Indian marriages. All men characters were different from each other giving a humor to the narrative in anecdotes about them. and the book flows beautifully, like a serene river. I loved it, and I am sure that the target audience will love this book too. Overall the author had wonderfully narrated the story. Though at some places story was stagnant and moved an inch only in the end to give a one line message of the book. I feel the narrative was coming back to the same point after each change of scene without adding much to the story line. The author seems confused in building the plot. The way it ended lives the reader cheated. Even philosophically it has not much to offer. Overall if asked I would say this is a light and simple book, perfect accompaniment to your evening coffee. And a special mention to the cover that has simple, mellow colors and doesn’t look overtly jazzy and cliched.... 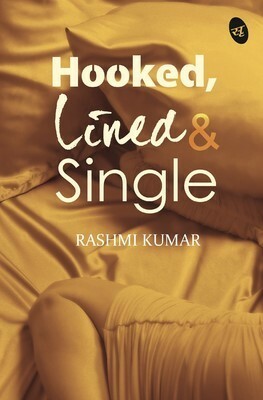 Overall if asked I would say...this is a good job done by Author (Rashmi Kumar) … I would give 3 stars to this book.